LAHORE: Preparations were underway to start export of Amrit Jal – water from a well in Nankana Sahib held sacred by the Sikh community, Evacuee Trust Property Board (ETPB) Chairman Siddiqul Farooq told the APP on Sunday. He said the ETPB was also making arrangements for printing Guru Granth Sahib, the holy scripture of the community, in the country. Farooq said the first initiative he had taken as the board chairman was to restore the Be Be Nanki well in Nankana Sahib. He said the board would soon start bottling and exporting water from the holy well. Farooq said the decision to print the Guru Granth Sahib had been taken to facilitate Sikh yatrees visiting the country from abroad. He said they would no longer need to bring the book with them. He said yatrees had to pass various checkpoints set up for security reasons at their arrival in the country and during travel inside the country. “There is a possibility that the holy book may get desecrated during the journey,” he said. He said that with the printing and availability of the book at gurdwaras and other holy sites the community would not need to carry it during the journey. 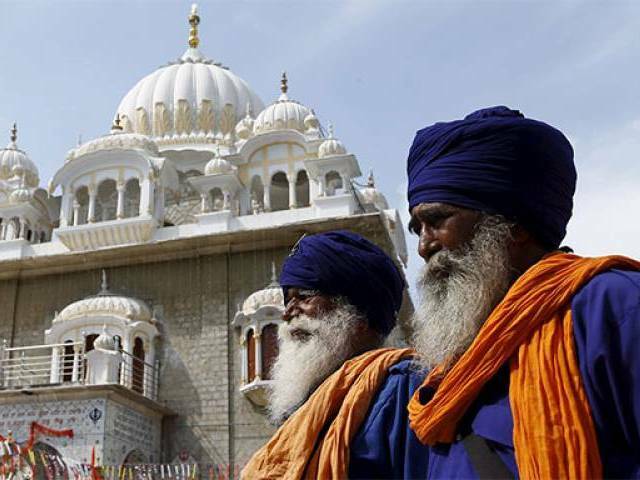 Assistance would be sought from the Shiromani Gurdwara Parbandhak Committee (SGPC), India, and the Delhi Gurdwara Management Committee for printing, he said. The ETPB chairman said the number of pilgrims from foreign countries on Sikh and Hindu religious occasions was increasing every year. The ETPB had decided to register travel agents to facilitate these visitors. Farooq said the ETPB had undertaken several initiatives to promote infrastructure at religious sites of minority communities. He said construction of a residential complex and installation of a water treatment plant was underway at the Katas Raj temple. He said work on the two projects would be completed before the arrival of Hindu pilgrims in November. Farooq said renovation work had been started at all gurdwaras and mandirs in the country. He said the board was installing a turbine at Gurdwara Punja Sahib, Hassan Abdal, to generate electricity from water. He said these guards would receive training from police officers. The ETPB chairman said the board was considering a proposal to construct a multi-storey plaza on a property it owned in a prime commercial zone in Lahore. Published in The Express Tribune, September 12th, 2016. This entry was posted on Wednesday, March 22nd, 2017, 6:16 am and is filed under Khalistan-A Nation of Sikhs, Sant Bhindranwala, Sant Jarnail Singh Bhindranwale, SIKH GENOCIDE, SIKH HOLOCAUST 1984, SIKH RIGHTS & FREEDOMS, SIKH'S SHINING HOUR. You can follow any responses to this entry through RSS 2.0. Both comments and pings are currently closed.